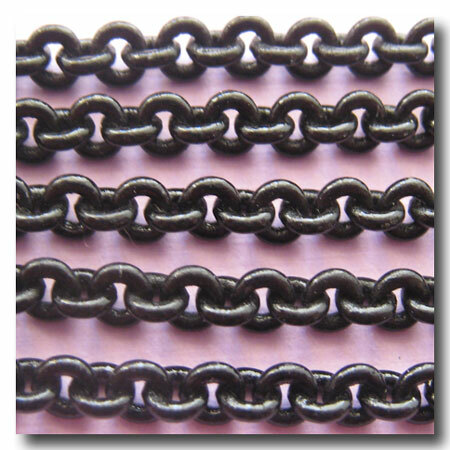 SHINY SMALL ROUND BLACK CHAIN. FINISH: Shiny Black Enamel. BASE: Brass base. STYLE: Smooth small round soldered links. WEIGHT: Light/Medium. 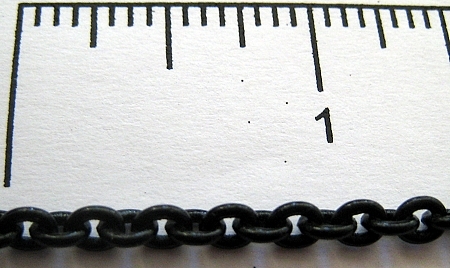 DIMENSIONS: 3.5mm x 3.5mm. Also Available in Matte Black 1-359.